We invite caregivers and youth to join us Saturday, December 8th for Serving on Groups. Your voice has the power to influence decisions being made that impact children, youth and families. This empowering workshop will prepare you to use your lived experience on program and policy levels. 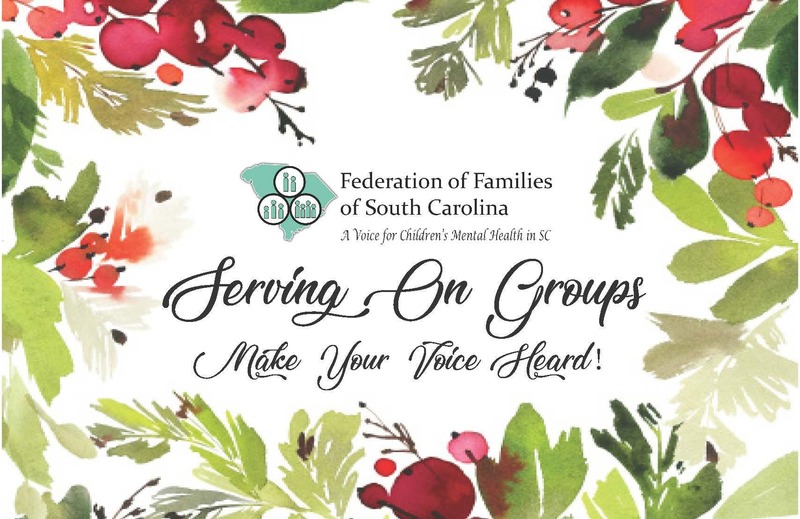 Join us this holiday season and learn how to advocate for families at Serving on Groups! Registration fee is $10 and inlcudes lunch!